Just a couple of weeks ago, Vine was pegged as the No. 1 non-game app downloaded from the Apple store in June, despite the release of Video on Instagram. Despite the coveted position, it was still expected that people would steadily flock to the heavily used photo filtering app for their video needs and abandon Vine. However, that's proven to be mightily untrue as Vine has actually increased its users by 13 million for a total of 40 million registered users. 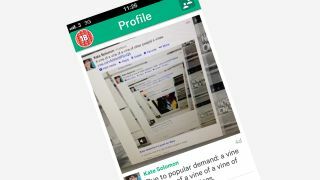 Looks like at least for now, Vine's six seconds of success will continue to loop on, and on, and on. Our blips aren't six seconds, but it'll take you less than two minutes to read.